To help your business shine, pull this consolidated, human-verified database of contacts at jewelry stores. 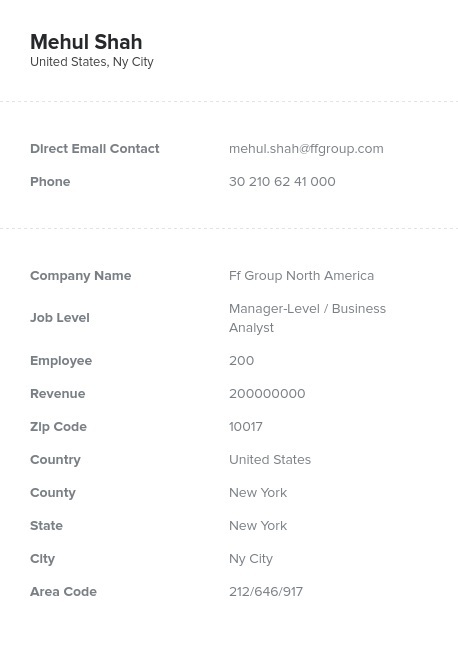 Email list options from Bookyourdata.com are numerous, but this gem is full of the people you want to get in touch with. Building connections with new contacts is one of the most difficult aspects of business marketing, but when you have a consolidated email list of those working in the industry most relevant to your campaign, you can forge connections and hammer out deals. From selling or dealing with gold to offering new services or providing high-tech tools, there are many reasons one may need to reach out to jewelry stores. Email lists we provide allow you to download a consolidated list of the most important contacts for your business with all of the information you need: phone numbers, emails, titles, names, and more. It can be integrated directly into your CRM so you can get started contacting jewelry store owners right away. With this premium list of jewelry industry professionals, which is human-verified on a regular basis to ensure a high level of accuracy, you can start marketing more effectively to lovers of gold, diamonds, and silver. This targeted lead list can help you get in touch with the exact people you've been looking for: those working in jewelry stores. Email list options can also be customized, so if you'd like to pare your list down by job title or location, go for it! Try one of our lists and take advantage of this golden opportunity today!